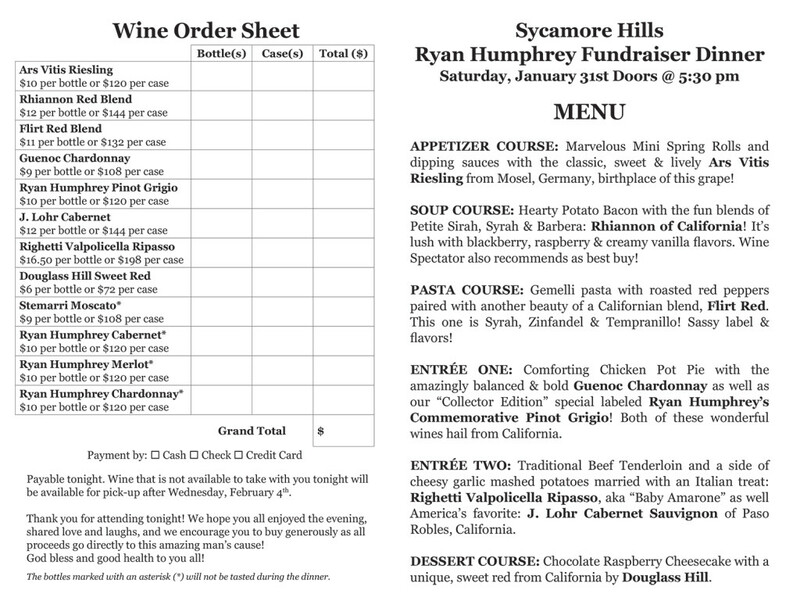 Please join Ryan’s family for a Wine Tasting Fundraiser Dinner at the Sycamore Hills Golf Club Banquet Hall. The doors open at 5:30 p.m. and dinner will be served at 6:00 p.m. The cost is $75.00 per person, which includes a plated 6-course meal with 8 glasses of wines served to compliment each course. Beer will also be available for purchase during the meal. 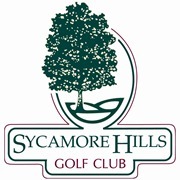 There will also be a 50/50 raffle, as well as a raffle for great donated or homemade prizes. All profits from this event will go directly to Ryan and his family to help them in this continuous 5+ year battle. The commemorative labeled wines will be signed by Ryan Humphrey. These will be available in Pinot Grigio, Cabernet, Merlot and Chardonnay. You may pre-order bottles of wine to be picked up at the event, however, bottles of wine will also be available for purchase at the event. Some wines may need to be ordered to be picked up AFTER the event. More information to follow. Credit cards, cash and checks are accepted. Cost is $75.00 per person. Reservations required. Please call 586-598-9500 extension 2.